There’s nothing better than sipping a sweet, delicious punch in the dead heat of summer. Whether you’re by the pool, hanging out in the backyard, or escaping the heat in your own kitchen, you can’t go wrong with this punch. 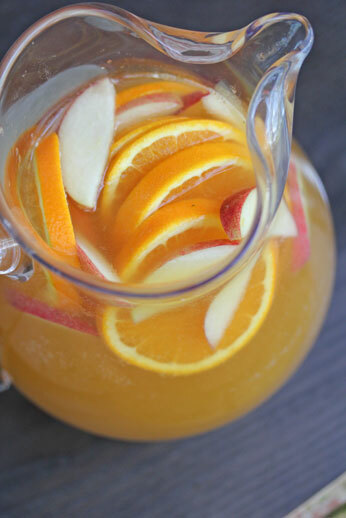 Combat this sweltering heat with my refreshing Peach Orange Punch…complete with fresh fruit! In a large pitcher, combine the ginger ale, peach nectar and orange juice. Stir until well combined. Float the orange slices and peach slices into the punch. Serve Peach Orange Punch chilled on a hot summer day!